I lay in bilge and pooling rain, a sole survivor on a storm-tossed sea. They are not like the fairy stories in flashes of lightning. Leaning into the skiff, they grasp. Eyes hungry. 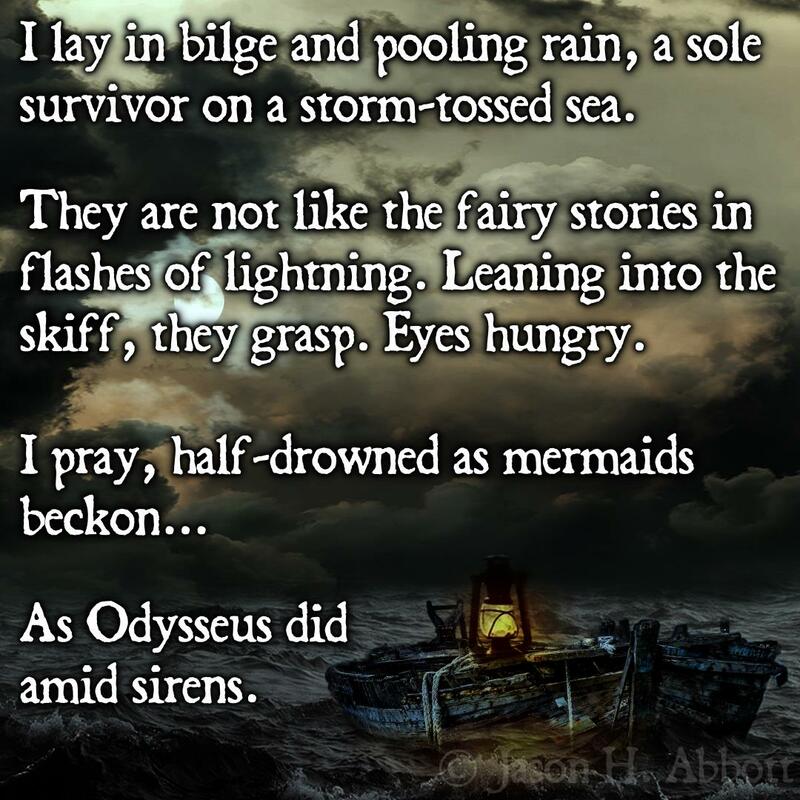 As Odysseus did amid sirens.